Modular tank-mounted agitators to ensure optimal mixing and agitation of high-viscosity fluids with fibrous or abrasive ingredients in various dairy, food and beverage processes. due to the wide range of high efficiency propellers and drive units that makes it possible to design for low operational cost. due to the wide range of propellers that makes it possible to design for low share operation. Tetra Pak Agitator IBC is designed for use in industry standard IBC Containers. 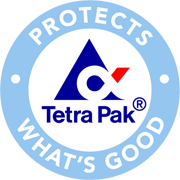 Tetra Pak Agitator IBC is suitable for concentrates with a viscosity up to 500cP. The unique design allows the contents of the IBC to be agitated consistently and independent of the liquid level. The surface of the liquid is not broken and therefore minimizing the risk of air entrainment.